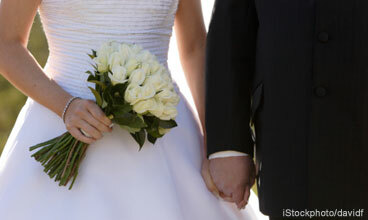 If marriage is about the joining of two people, the wedding registry is usually about those items that complete a new household. Today, choices often include small appliances and other communal tech items that help make a house a home. These tech staples are both practical and a have a degree of fun. And I guarantee they’ll be more appreciated than another set of candle holders. 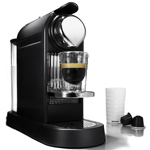 For espresso and cappuccino lovers, consider an espresso machine like the Nespresso CitiZ C110 ($269.99, shown). It not only creates fabulous barista-quality espresso at home, it will save the newlyweds on trips to Starbucks. If espresso isn’t their style, a French press like the Bodum Thermal Press Pot ($64.43) will work equally well steeping tea or coffee. Plus, its thermal container keeps the pot warm all morning. A good toaster oven can make great toast at breakfast, broil a salmon fillet big enough for two for dinner or bake a small batch of cookies. 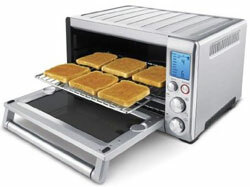 One such oven is the Breville Smart Oven ($249, shown). It gets the high marks for even cooking and temperature accuracy. There’s also a smaller model, the Breville Compact Smart Oven ($176.87) that accommodates four slices of toast, instead of six. Heating up leftovers, “cooking” frozen entrées, defrosting meat—the microwave oven is an essential meal-prep tool in most households. 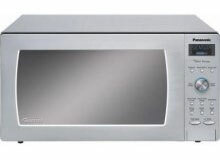 The Panasonic Prestige NN-SD797S ($171.87) uses inverter technology to deliver a consistent level of power, instead of cycling on and off throughout the cooking process like most models. The result is more evenly cooked food, defrosting without cooked edges, and even the ability to keep foods warm until mealtime. If you like to bake, the stand mixer is an appliance no household should be without. It’s the go-to appliance for bread-making, cookie baking, egg white beating—the list goes on and on. 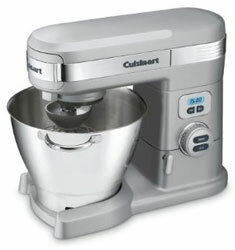 The Cuisinart SM-55 Stand Mixer ($294.73) is a great choice with its ability to power through any task and provide easy access for adding ingredients. The main benefit of a blender is to crush ice for those super-smooth margaritas you get at your favorite Mexican restaurant and smoothies made with frozen fruit. And in the ice-crushing category, you can’t go wrong with the KitchenAid KSB580 5-Speed Blender ($149.99) It’s also good for making homemade baby food and mayonnaise, pureeing soups, and other foods that are better lump-free. Think of anything you have to slice, chop, mix or shred, and that’s where a food processor comes in handy. You can slice potatoes for a potato gratin or chips, shred cheese and carrots or mix a pie crust. 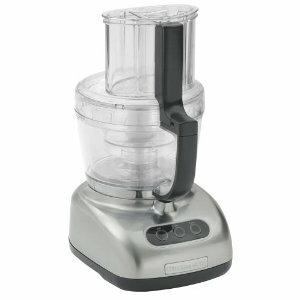 The KitchenAid KFP750OB Food Processor ($179.99) would be my choice with its included 4-cup mini bowl for smaller jobs. Start things out right with an all-around great pocket shooter. 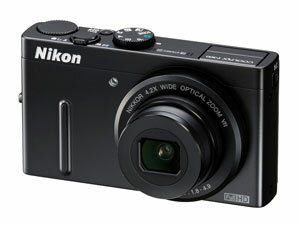 The Nikon Coolpix P300 ($283.99) fits the bill with a super-fast f/1.8 lens, which enhances its ability to shoot in low light, and high shutter speeds to stop fast action. Plus, this 12.2MP camera has a 4.2x zoom that starts at a wider-than-average 24mm to help with scenic vistas and group photos. For more avid photographers, the Coolpix P300 offers extensive manual controls along with one-click panorama shooting and in-camera high dynamic range photography, combining several exposures to maintain detail in both the dark and light areas of a high-contrast scene. It also takes 1080p movies with stereo sound. This is the time to graduate from a stick vac or hand vac to a real vacuum cleaner. Look for great suction, a HEPA filter and a set of basic attachments—dust, crevice and upholstery tools. The Dyson DC24 Animal ($449.99) is all that plus it has a mini turbine attachment for reaching tight spaces—great for those with pets. The motorized brush bar turns off for use on hard floors. 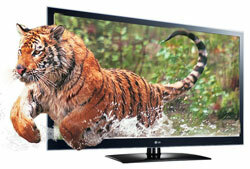 If you’re ready for a big-screen TV, LG Infinia 55LW5600 55-Inch HDTV ($1,699.97, shown) has it all. The image quality is very good and it has Internet apps for viewing Netflix, renting movies from Amazon, checking your Facebook account, playing games and catching the game on MLB.TV. It’s also a 3D TV that works with passive, circular polarized lenses—like the ones you use at the movie theater. While watching 3D content, you can sometimes see lines on the screen that are due to the 3D technology. So, if you’re looking to step up, I’d recommend the Panasonic VieraTC-P55GT30 55-Inch HDTV ($1,699.99). Its 3D technology works with active shutter glasses and delivers a Full HD 3D picture—and one of the best 2D pictures as well. Setting up your home’s “theater” with the requisite speakers, receiver and Blu-ray player can be easily accomplished with a home theater system like the Sony HT-SS380 3D Blu-ray home theater system ($280.04). Inside the box you get five speakers plus a subwoofer and a 1000-watt receiver with a built-in Blu-ray player. The receiver has three HDMI inputs, so you can hook up other boxes, like a cable box or game system. It’s a perfect starter set. You’ll want a dual alarm clock in the bedroom, so you should also get one that can provide great music. 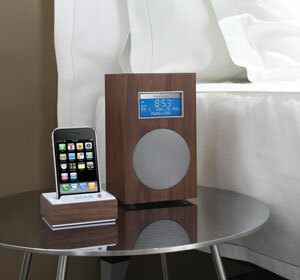 The Tivoli Audio Model 10 ($199.99) pairs with The Connector iPod dock ($124.99) to deliver all that with beautiful style. There’s a stereo version as well.